Here we look at RoseHosting web hosting reviews and give an overview of their services. 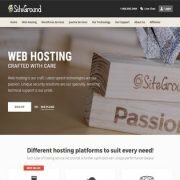 Based on online review scores for this cloud web hosting company, they are one of the best website hosts around. RoseHosting pride themselves on Low Cost Managed Linux VPS with 24×7 US-based Support, free weekly backups, free website migration and 100% Uptime. Our analysis on various online review sources gives an average of 9.5/10, which places them within the top 5% of all providers, so they seem excellent. RoseHosting offer managed solutions for WordPress websites and blogs and Magento ecommerce stores, as well as Odoo hosting for the CRM /ERP platform. 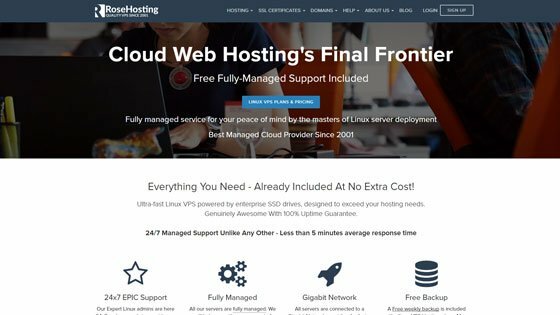 VPS hosting seems to be one of their most popular solutions, while they also offer cloud dedicated servers run on Linux. Based in the US, they have clients from across the globe.